Allegro Music Academy offers private instruction in Guitar, Violin, Viola, Cello, Double Bass, Piano, Voice, Flute, Clarinet, Trumpet, Trombone, Cornet, French Horn, Tuba, Accordion, and any type of dance. The school also offers group lessons for Guitar, Violin, Music Theory, Yoga with Music, Dance, and Etiquette. 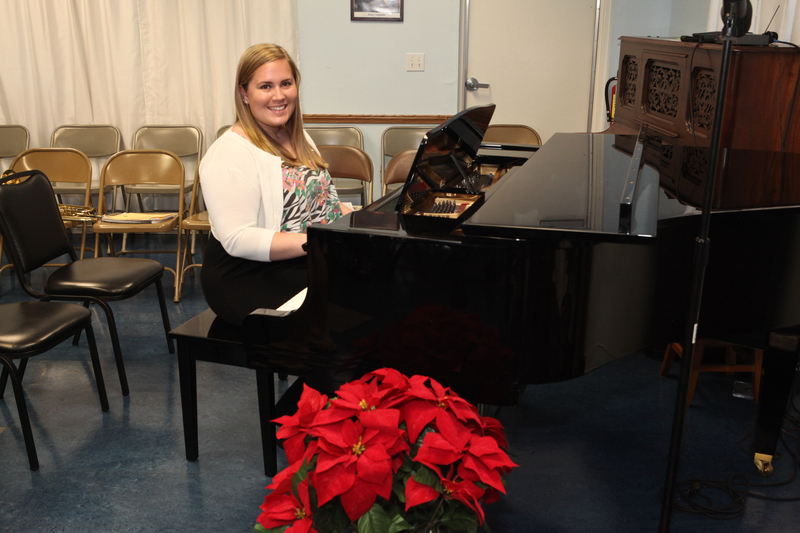 Our music teachers have University Degrees in Music and have varied performance experience. Allegro's teachers are chosen not only for their qualifications, but for their ability to relate to the needs of the students. Our teachers' credentials allow them to teach from Beginning to University Levels. The qualified, experienced teachers of Allegro have love for music and invite you to learn to play a large diversity of musical instruments. Allegro teaches a wide variety of of instruments, Piano, Violin, Viola, Cello, Double Bass, Guitar, Voice, Trumpet, Trombone, Clarinet, Flute, Saxophone, Accordion, and other popular instruments. Our main focus is on helping each student gain the skills to enjoy music long after the music lessons are over. Allegro offers an exciting experience with music for Children ages 4 to 7. Our award-winning 'Introduction to Music' program teaches young children the fundamentals of rhythm, melody, and other essentials. The fun and interactive learning method builds a good foundation for later studies with any instrument. Music lesson help fight ADD, ADHD, Depression, and aids in the development of children with downs syndrome and late developers. Musical study helps improve the musical ear, rhythm, memory, concentration, and coordination. Class emphasis is on learning to enjoy music while having fun. The program is for one year, after which the child can chose for his/herself which instrument he/she wants to play in the future! Students present free recitals to the community twice a year where they demonstrate everything they learned in the past semester. Allegro presents many free concerts and programs to the community throughout the year. Our students perform concerts for the residents of Nursing Homes and Assisted Living Facilities. Popular community offering include our Meet the Composer Concert Series, Concert and Lecture series, Music Appreciation Club,Theme Concerts, Musical Movies and Lectures, and numerous Student Concerts and Recitals. We offer instruction for every musical instrument, as well as performing in ensemble and chamber orchestra. Allegro also offers music university, with an exciting Music Appreciation program. These custom made classes are designed to teach children, teens, and young adults to skills they need to behave appropriately in any life situation.Good manners impress other people, build self esteem, and make you and other feel good. Allegro has a Concert Hall for Student Recitals and Professional Concerts. "Music should be something you enjoy for a lifetime." To provide students of all ages with the skills to enjoy music, dance, and etiquette for a lifetime. All the teachers are extremely knowledgeable about music. Margaret Goreshnik, the director of the academy is an excellent teacher who inspires excellence and love for music. My children are taking violin and guitar lessons and have been students the last 5 1/2 years at the academy. I recommend it to anyone for any age. If you're looking for a music academy that has the best quality teachers for your children, teachers with passion, skill, and knowledge about music, then you're in the right place. Allegro Music Academy is the best when it comes to music schools. I have 2 daughters who take lessons in piano and violin. I get compliments all the time on how well they play their musical instruments. We work hard, practice hard, and it shows in their musical abilities. I'm so blessed and proud to be a part of this great music school. I highly recommend it to everyone. Thank you Ms Margaret and Allegro Music Academy.